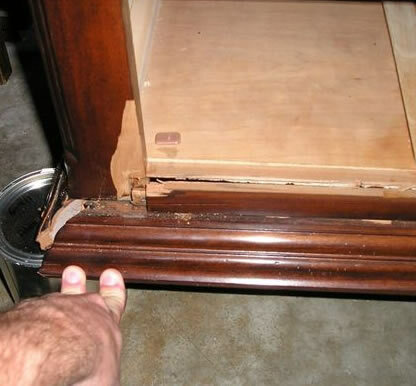 Whether your furniture has been damaged by pets, children, careless movers or your sweet, old grandmother, we can repair structural as well as surface damage like water stains. 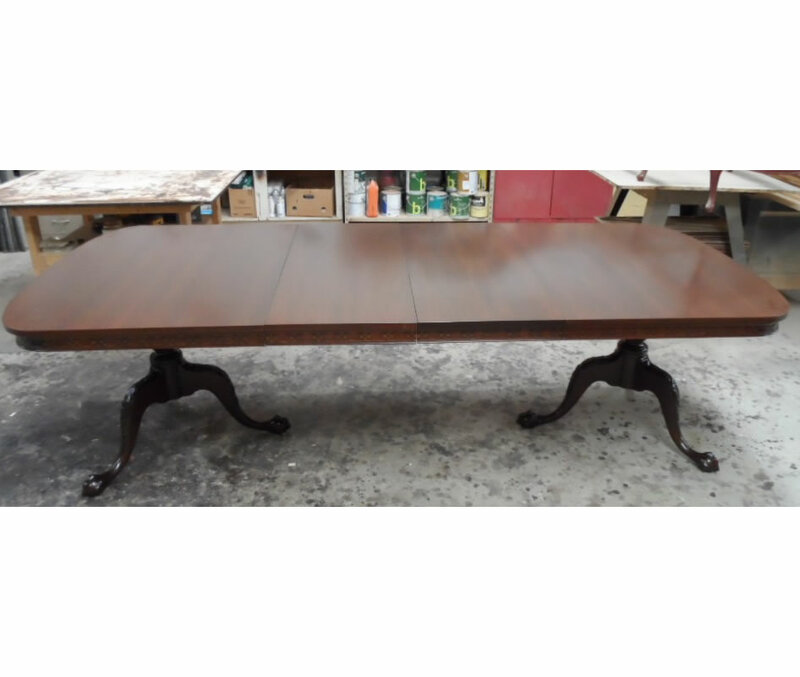 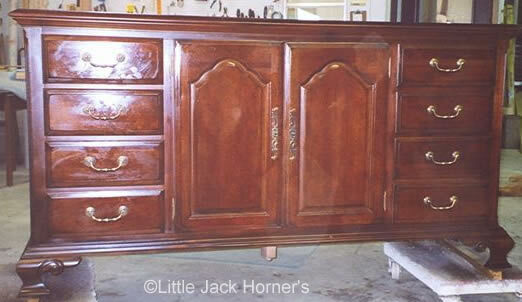 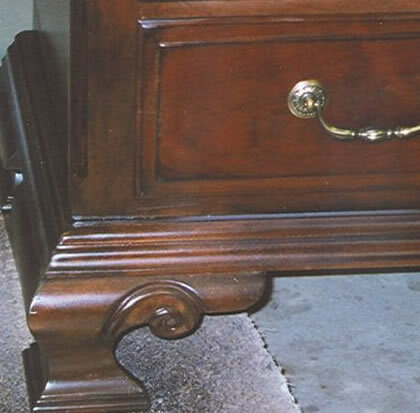 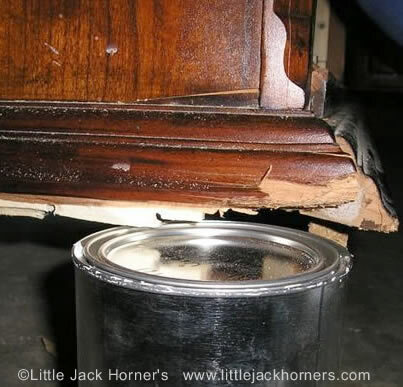 From re-gluing wiggly chairs or tables to re-attaching a drawer face and replacing missing or damaged veneers, Little Jack Horner’s can make it whole again. 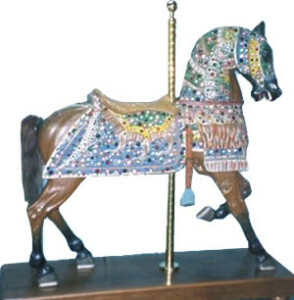 The carousel horse at right came from the Coney Island carousel located in Cincinnati. 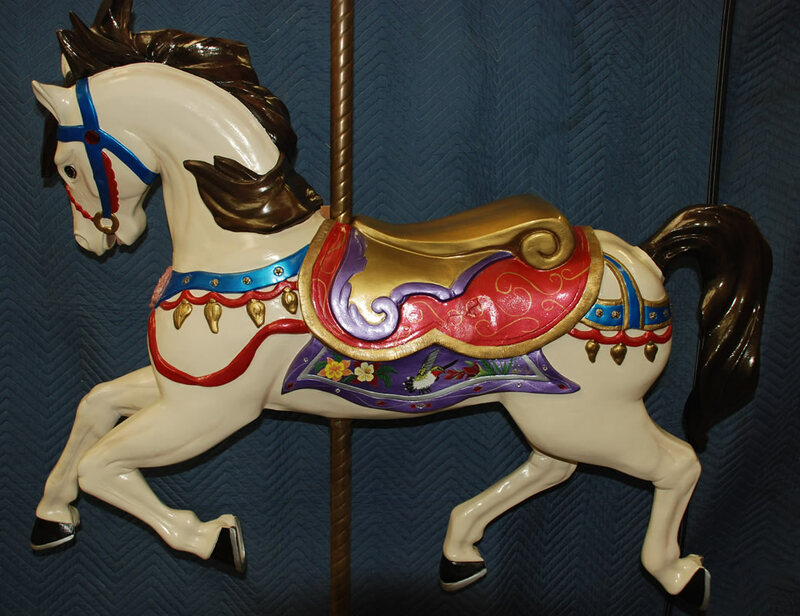 It was operated by the same company that operated the Coney Island one that everyone is familiar with. 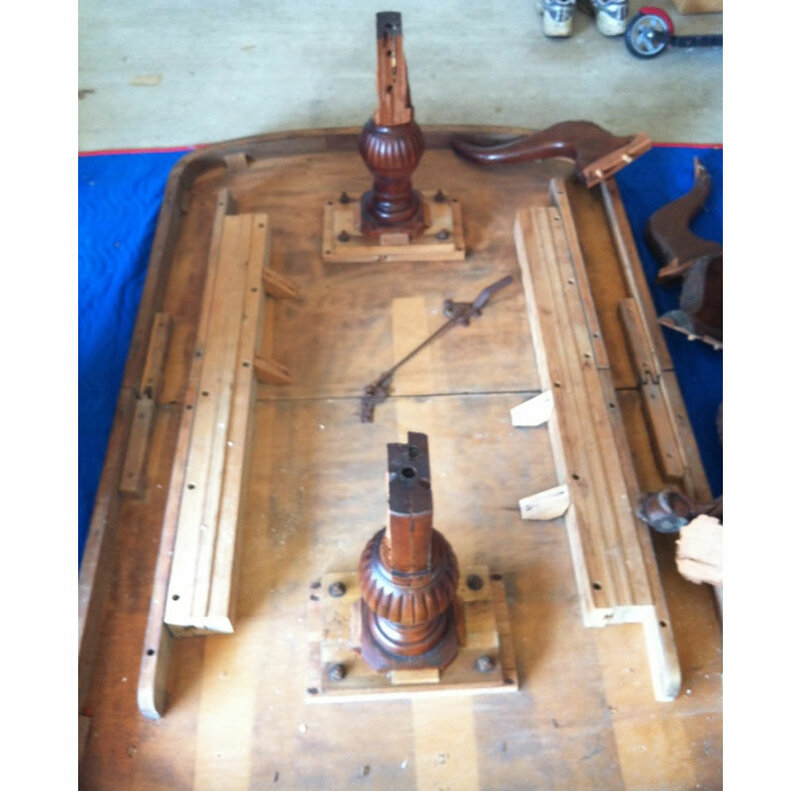 Our client’s mother bought it and stored it for years. 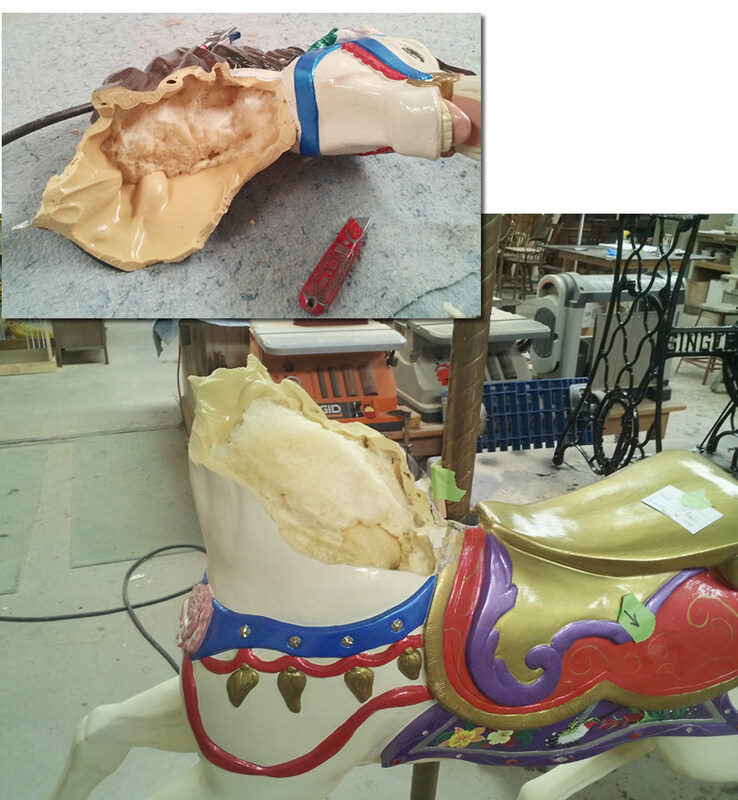 We repaired the carousel horse’s broken legs, broken neck, replaced missing jewels, cleaned and waxed it and built a base, with carousel post, for display.